According to the Ministry of Planning and Investment, US$1.255 billion has come into the sector. “The real estate market has mostly attracted FDI through M&A activities,” Nguyen Hoang, R&D director, DKRA Viet Nam, told Viet Nam Investment Review newspaper. This year, investors are expected to start a series of projects on lands they had bought last year, such as Đại Phước Lotus in HCM City, which was bought by the China Fortune Land Development from investment funds: VinaLand Limited and VinaCapital Viet Nam Opportunity Fund Limited last April; Future Otis Hotel in the central city of Nha Trang by Taiwanese P.H Group; and apartment projects in HCM City by CapitaLand. Foreign investors also focused on hotel projects, she said. Some economists warned about a possible downside, pointing to the fact that in previous years, many enterprises had attracted foreign investment but had not been adequately prepared, leading to problems. 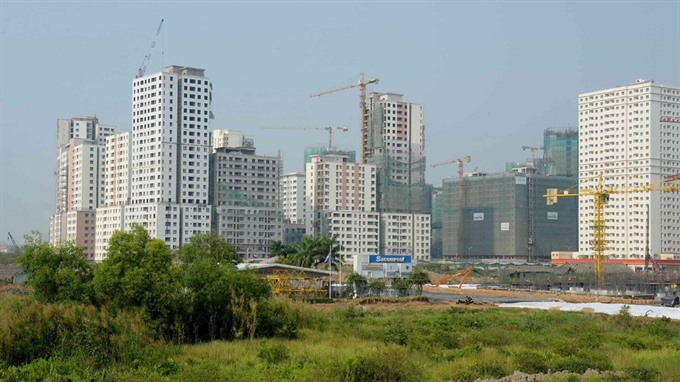 “HCM City’s real estate market has received a record number of foreign investors, mostly private funds, which would like to quickly complete projects,” Su Ngoc Anh, director of the city’s planning and investment department, said.